If there are multiple panels to repair, we always recommend our Complete Service bundle if this will work out cheaper. 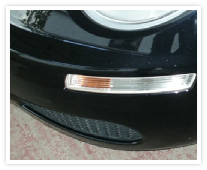 At Scratch-2-Shine we’re committed to offering the best possible service at a competitive price. 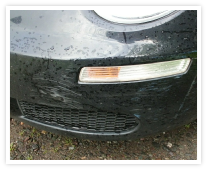 We understand that you want your car to look its very best; but you don’t want the inconvenience or expense of taking it to a body shop unless you really have to. Call us first for your free estimate. Selling your car? Lease car about to go back? Perhaps you’ve just bought it; maybe there’s a special occasion coming up; or, perhaps, you just like your car looking its very best. Whatever the reason, we’re here to help with a range of services from a single scratch repair to the complete refurbishment of your vehicle’s paintwork. Super Glaze uses Teflon to seal the paint with a hard shell that helps to protect the surface from salt, acid rain, bird lime and tree sap damage. 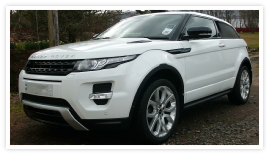 Some car dealers charge in excess of £200 to apply similar coatings to new cars. The Complete Service means what it says. We collect your car between 8 and 8:30 am* and return it to you between 5:30 and 6 pm; exact timings may vary depending on the size / condition of the vehicle. For one day we focus on making your car’s paintwork look as good as it possibly can. Finally we add SSR Super Glaze coating to seal in the shine. * Geographic limits apply to collection and return of vehicles. Please contact us if you live outside the Helensburgh, Dumbarton or Vale of Leven areas. Complete Service - What do you get?